The appointments made by the government of Omar Razzaz on Monday raised a great deal of anger among Jordanians. As soon as the decisions of the Council of Ministers were announced on Monday night, angry comments for the appointment of brothers of MPs spread through social media. In details, the Cabinet decided to appoint Engineer Rabaa Al Ajarmah as Director General of the Institute of Public Administration. The Council of Ministers also decided to appoint Dr. Salimat Al-Fergat as Chairman of the Board of Commissioners of the Petra Region for Tourism Development, and Nidal Bataineh as President of the Civil Service Bureau. The Board decided to appoint Yahya Al-Naimat as a full-time Chairman of the Board of Directors of the Government Contribution Management Company. 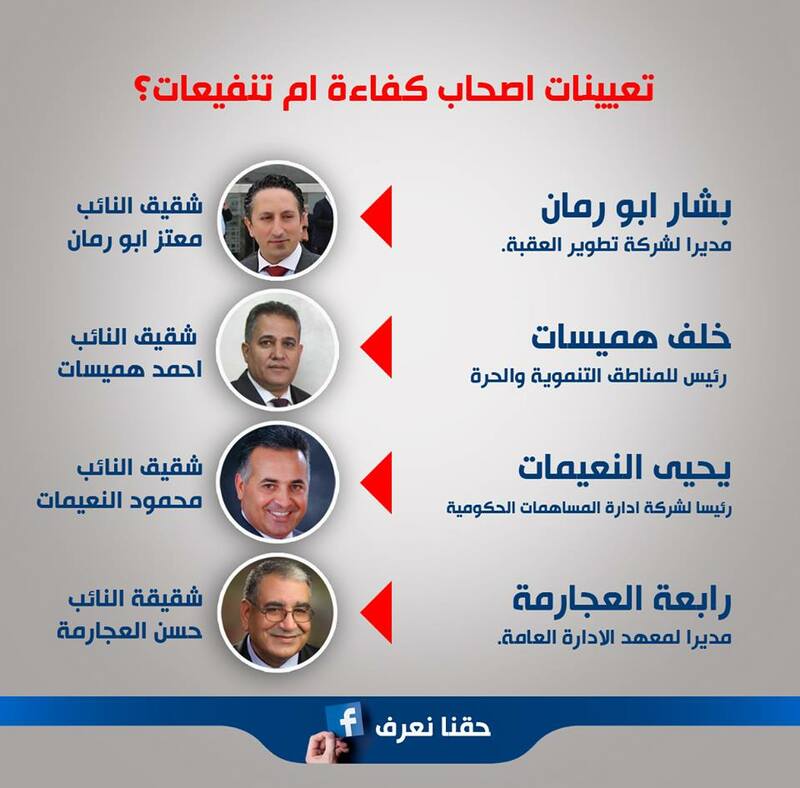 MP Sadah al-Habashneh commented on these appointments through his Facebook account, saying: "What took down the Ministry is the House of Representatives, Monday goes to the dustbin of history."